developing new and intriguing types of IOLs. such IOLs are still in the early stages of development or clinical trials. 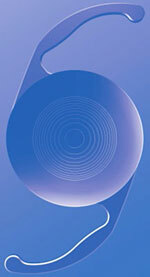 One such IOL is the multifocal IOL. What is the AMO Array Foldable Silicone Multifocal IOL? power zones helps a person to see at varying distances. its durability and also, more importantly, because silicone is highly biocompatible. and placed correctly within the lens capsule.